Winkleman Home Inspections was established after closely observing my own home inspection. I sought an opportunity that would not only allow me to use the knowledge and skills that I had acquired previously, but would expand my experience and interest into the housing industry. Prior to the conception of Winkleman Home Inspections, I worked as a merchandise manager, sub-contractor, performed home flips and overall construction since 1991. 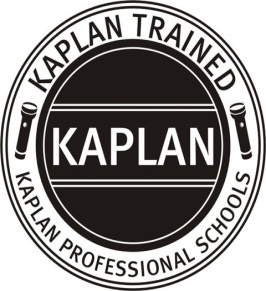 I desire to share my vast knowledge and experiences with my clients. WHY CHOOSE WINKLEMAN HOME INSPECTIONS? Being the sole owner of Winkleman Home Inspections allows me to take the worry right out of your hand from the get go. After our initial conversation and approval, I will schedule with the selling party through the appropriate services to a schedule that works for you. I work neat, using drop clothes and inside shoes for your future home. I am very professional with follow up and I produce very detailed reports with many pictures. The inspection process and reports that I produce are not only a “good, bad or indifferent piece”, rather an additional informational tool for you to use, even after the purchase. I will then send the report via PDF to you, generally by the next day, if not earlier. 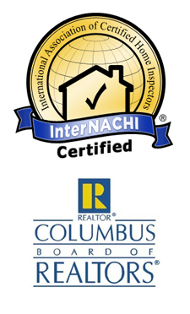 I am appropriately insured and member to many professional groups like The Columbus Board of Realtors and NACHI. I am also multi-certified. (Ohio does not currently require licensing for home inspectors, but I do have a valid business license.) I have passed both the National Home Inspectors Exam and InterNACHi’s Certification. I am also a board member to the Examination Board of Professional Home Inspectors and act as a Subject Matter Expert for the NHIE. My passion for the construction industry is obvious based on my work history/knowledge. Although, my love for helping others is as great if not greater! Please let me provide you with a positive and insightful experience. I began working at an early age (8 years old), helping my dad wash windows and clean gutters on the weekend. My strong work skills continued as I grew older. I began to cut lawns and helped various neighbors, family and friends with other work around their houses. At 16 years old, I began working summers for a paving company. I continued this for several summers. After graduating I looked for more ways to expand my experience. I dabbled in roofing before spending roughly, the next 10 years learning the HVAC trade. I had performed multiple tasks within that trade. Ranging from, servicing, replacement, design, rough-in, setting and finishing work. During after which time I decided to pick up a part time job at a major Home Improvement store. After only 6 months I was given the opportunity to work as a Department Manager at the store, which soon evolved into my path as the Merchandising Manager. Ever since I started working, I have had a passion for Design, Building, Architecture, Puzzles etc. I guess that I have a natural knack for figuring out problems. I often take my family and or kids into homes that are being built to get ideas and to teach them how things go together. This is one of my hobbies. I am also into many family activities as well as Baseball. I love to cook and wrap gifts at Christmas time. My wife and I are usually busy with home projects of our own. You may follow some of our current “how to” and project ideas on my ASK ED page. My wife, two children and myself.